What does philanthropy mean to India? For a country battling with inequalities at so many levels – health, gender, income – international aid has been a major support since independence. However, over the years, India has created its own league of billionaires, recognised globally. Some of them are even titled the most ‘generous Indians’ for their philanthropic acts. It is interesting to know how Indian billionaires spend their money and if they at all give it to philanthropy. 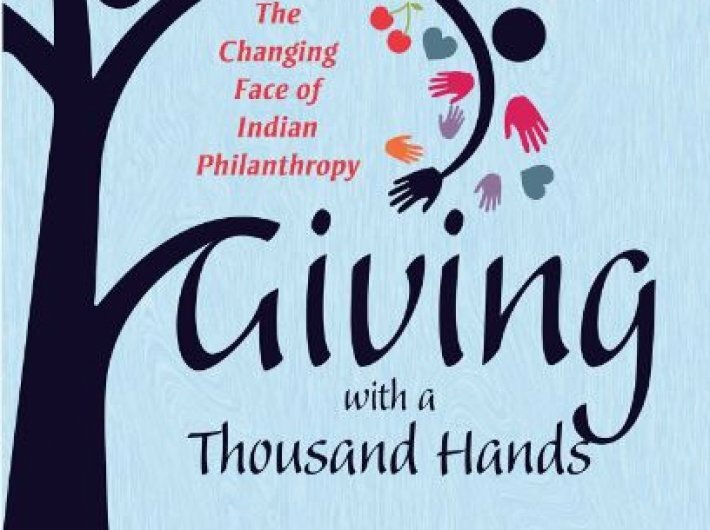 Giving with a Thousand Hands by Pushpa Sundar tells how a country that donates money largely for religious purposes is short on philanthropy. Philanthropy and charity are often considered synonymous. But they are distinctive, each having its own nuances. What drives the two is the same impulse – compassion. Still, there lies a difference. Giving alms to a beggar is the nature of charity, while providing vocational training to the unemployed to stop them from begging is philanthropy. Chapters like ‘Why India needs philanthropy’ and ‘Are Indians charitable?’ talk about lack of imagination among Indians while choosing the cause. Education tops the list of ‘causes’ followed by child welfare, old-age care, disaster relief and health care. What stops rich Indians from doing philanthropy is lack of awareness and motivation, strong family and kin ties precluding from donation, lack of integrity and transparency of the social organisation and trust deficit between donors and beneficiaries. Sundar’s book clearly states that philanthropy through individual charitable giving, corporate giving, donations and grants by foundations and trusts, donations by religious organisations or even by an NRI has the potential to bring about a transformation. Indians are not new to philanthropy. Before independence it was used to make memorials and development of institutes like Banaras Hindu University, Bombay University and Birla Institute of Technology, Pilani. But between 1960 and 1990, Indian interest in philanthropy began to decline as the state taxed the rich heavily. With the end of the 20th century, the philanthropic streak was back again. And the momentum philanthropy gained thereafter got equated with corporate social responsibility (CSR). Sundar extensively analyses the role of CSR – clause 135 of the Companies Act that makes mandatory for companies of a certain size and profitability to devote two percent of the average net profits of past three years to CSR activities. Sundar, a development specialist, founder-director of Sampradaan Indian Centre for Philanthropy and author of Business and Community: The Story of Corporate Social Responsibility in India (2013) and Foreign Aid for Indian NGOs: Problem or Solution (2010), asks if spending on CSR will reduce individual philanthropy. The signals are mixed, according to her. It is because the ethics of philanthropy have been questioned due to inequality in wealth distribution. But at the same it has been used to gain status and acceptance in society. With the changing perception over the years, philanthropy has taken the shape of free loans, soft loans and equity investments. There is also emergence of new terms like venture philanthropy – establishing businesses addressing the social demand rather than being totally commercial. Like the Chotukool fridge by Godrej group, a refrigerator that runs without electricity and is only for the rural masses. Significantly, CSR was introduced to make private companies contribute towards social requirement, reducing social and economic inequality. But an important question pitched for debate by the author is: Can inequality be best reduced through taxation or philanthropy? She argues taxation has its limit, whereas experimentation and innovation have in the past solve humankind’s intractable problems. She calls philanthropy a catalyst which can be used in generating some fresh ideas and experiments, which can find way into public policy. India needs to spend on inventors and inventions. As it is, foreign aid is on the decline after the amendments in the Foreign Contribution Regulatory Act (FCRA). Still, funding is required to build strong civil society, by supporting reforms, especially when philanthropy is not restricted to health and education but now to environment issues and sanitation. There is a downside of the philanthropy too, as addressed in the book. The power of big philanthropic organisations like Bill and Melinda Gates Foundation can influence a policy – a trend seen in the USA. India is still untouched by this trend, as the international aid is smaller than the government budgets. Overall, Sundar’s book presents a holistic view of how philanthropy has evolved over the years and its potential to bring a change. Questions asked by her at intervals reinforce the need to have a debate on how philanthropy can be encouraged in India.